The Samsung Galaxy S4 Active was announced prior to the UK launch event. This version of the popular smartphone is meant for the great outdoors. It has dust protection and can handle three feet of water for 30 minutes with relative ease. There are also fairly standard specs such as a 1080p display, an 8 megapixel rear camera, a 2 megapixel front camera, LTE radios, and Android 4.2.2. The Galaxy S4 Active also has a 1.9GHz quad core processor powering this rugged device. The handset comes with a waterproof earphone socket, a touch screen that reacts to gloved hands, and a mode that can take clear pictures underwater. There’s also a built-in barometer. 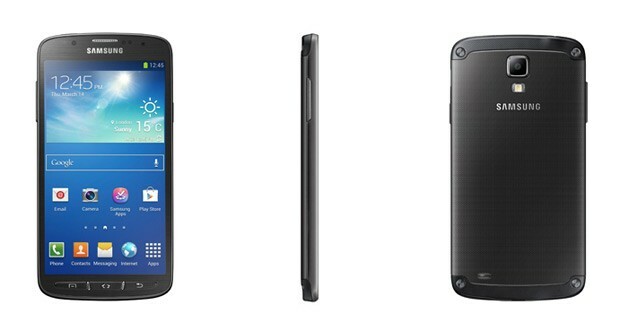 You can expect the Galaxy S4 Active to launch in the U.S and Europe in the summer. If you’re wondering about color options, there’s Urban Grey, Dive Blue, and Orange Flare. Pricing will likely be revealed at the launch event later this month in London. Does the Galaxy S4 Active pique your interest?